We have great pleasure in announcing an Uber special show with our good friend Shane Jacobson. It’s something new and exciting continuing our wicked adventure with the Melbourne Ska Orchestra. He’s one funny fella, making rehearsals quite difficult due to all the laughing and performing at the Palms at Crown will be the closest thing to Vegas that we’ve done so far. Style up, put on your smiling face and get ready to have some fun. Friday 6 February. Tickets on sale NOW. Ladies and Gentlemen! It’s true …Shane Jacobson wants to join the Melbourne Ska Orchestra! And then it actually gets quite crazy. 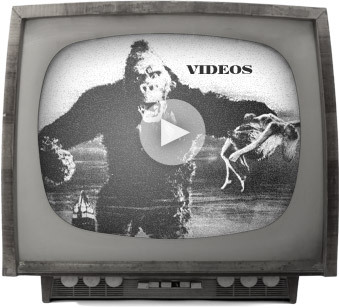 What a sweet marriage of Madness! 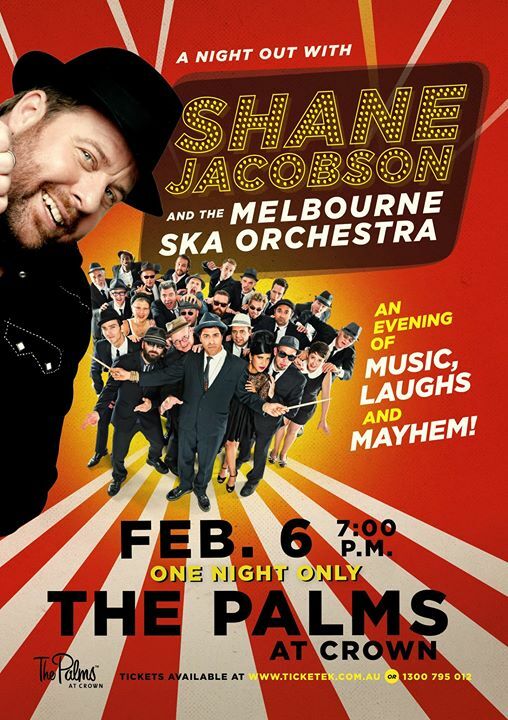 Australian award winning actor/ comedian Shane Jacobson teams up with Nicky Bomba and his Melbourne Ska Orchestra for a one night only extravaganza of music madness and mayhem at Palms on Crown, Feb 6, 2015.